Shaykh al-Azhar, Dr. Ahmed el-Tayeb, has publicly come out against ISIS and its sponsors. In a conference in Florence, Italy (6-9-2015), he said in an interview, “The emergence of Da‘ish [Arabic acronym for ISIS] in such a spontaneous manner leads us to ask what are the deep causes. And the man in the Arab street thinks that the West has something to do with it. The arms Da‘ish has are American, they are not made in the Arab world. Da‘ish developed so quickly and that required enormous amounts of capital. Where did these enormous sums of money come from. The man in the street says the West is not serious about taking on Da‘ish… The world order wants chaos, it seems it has the intention of fragmenting our region and Da‘ish is a very effective instrument. Da‘ish performs a function for the great powers who do not want to see this region develop alongside Israel.” However on this particular occasion, unlike Grozny a year later, he did not take a stand against the Gulf monarchies who are the key financiers of ISIS. It came as a shock to the Saudis that they were not only not invited to the Islamic conference in Grozny but that the final communiqué even excluded them from being Sunnis. To understand the true import of this statement, consider this. The Salafis and their even more extreme offshoot, the takfiris, are certainly not Shi‘is — the other branch of Islam. The Salafis consider themselves authentic Sunnis, in fact, super Sunnis and insist others must follow them. This claim has not only been challenged by the head of the most prestigious Islamic institution in the Muslim world, al-Azhar University in Cairo, but they have been banished from the fold of Islam altogether! 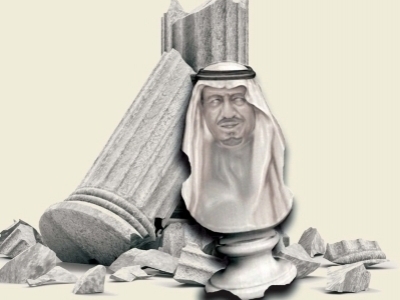 In his column last month (September 24) in the British daily, The Independent, Robert Fisk wrote, “The Saudis step deeper into trouble almost by the week. Swamped in their ridiculous war in Yemen, they are now reeling from an extraordinary statement issued by around two hundred Sunni Muslim clerics who effectively referred to the Wahhabi belief — practised in Saudi Arabia — as ‘a dangerous deformation’ of Sunni Islam.” The Grozny conference declaration called for “a return to the schools of great knowledge” outside Saudi Arabia. These schools were identified as al-Azhar and al-Qarawiyyin; any schools, madrasahs, or universities in Saudi Arabia were not mentioned. Truth be told, there are none in Saudi Arabia. What they produce from the Islamic University in Madinah are village preachers spewing sectarian nonsense. The word university is a misnomer to apply to that institution. Some 200 Sunni scholars from around the world participated in the Grozny conference at the invitation of the Yemeni Sufi scholar, al-Habib Ali al-Jafri. What was the conference convened to discuss? To define the term Ahl al-Sunnah wa-al-Jama‘ah, which a myriad of “Sunni” groups have used to claim authenticity and legitimacy to their particular interpretation of Islam. Each claims to be following the Sunnah of the noble Messenger (pbuh). The tragedy is that each group also invariably excludes others they disagree with from being “true Sunnis.” A further problem is — and this has to do with semantics — the expression Ahl al-Sunnah wa’l Jama‘ah does not exist in the Qur’an or the authentic prophetic hadith. The first Umayyad king, Mu‘awiyah coined this expression to claim legitimacy for his rule, which had no basis in Islam. Without detaining ourselves with this argument, the Grozny conference was attended by many well-known scholars from the “Sunni” world (no Shi‘i scholars were invited!). The scholars came from Egypt, Sudan, Libya, Syria, Jordan, Kuwait, Lebanon, Britain, and South Africa in addition to Egypt and of course several muftis from Russia. The Mufti of Crimea was also there. No religious scholar from Saudi Arabia was invited to the conference. This caused great consternation among the court preachers in Saudi Arabia. How could a “Sunni” conference be held without Saudi participation and indeed patronage, they thundered. What was noticeable was the very high profile delegation from Egypt. In addition to the Shaykh of al-Azhar, Dr. Ahmed al-Tayeb, other scholars from Egypt included the former Grand Mufti of Egypt, Shaykh ‘Ali al-Jumu‘ah and the current Grand Mufti, Shaykh Shawqi ‘Allam. 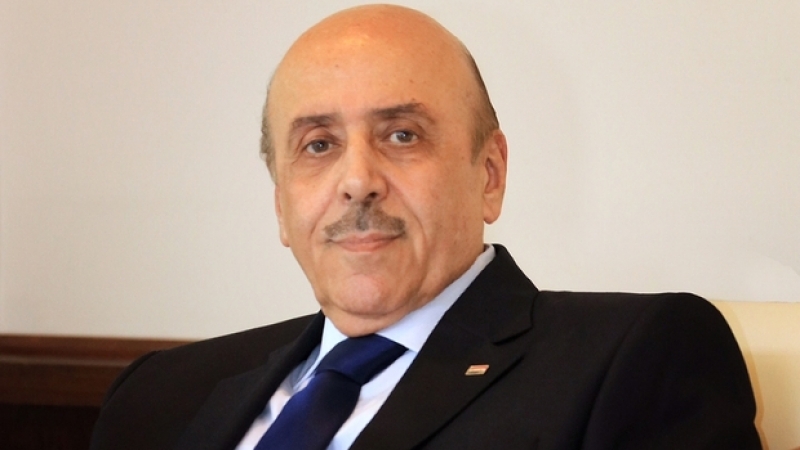 The Egyptian government gave its official stamp of approval by sending a high religious affairs representative, Shaykh Ousama al-Azhari, to the conference (to add insult to injury, the Egyptian Foreign Minister Sameh Shoukry said in a statement on September 23 that Egypt had a different policy on Syria than that of Saudi Arabia!). The Grand Mufti of Syria, Shaykh Ahmed Badreddin Hassoun also attended the conference together with such intellectuals such as Dr. ‘Adnan Ibrahim. President Ramazan Kadyrov of Chechnya hosted the conference that was addressed by President Vladimir Putin of Russia as well as Shaykh el-Tayeb of al-Azhar on the first day. Kadyrov went out of his way to honor Shaykh el-Tayeb by not only personally receiving him at the airport but also accompanying him to the presidential palace in Grozny where the head of al-Azhar was to stay for the duration of his visit to Chechnya. Shaykh el-Tayeb did not disappoint his hosts in what he said at the conference. Chechnya has historically been a predominantly Sufi society. That is how the Chechens had retained their Islamic identity during the dark days of Soviet occupation and the suppression of Islam in the Caucuses as indeed elsewhere in Soviet dominated Central Asia. In the 1990s when the Chechens rose up against Soviet occupation, there was an influx of Wahhabi zealots that came not so much to help the Chechens but to spread their poisonous propaganda. The result has been catastrophic for Chechnya. 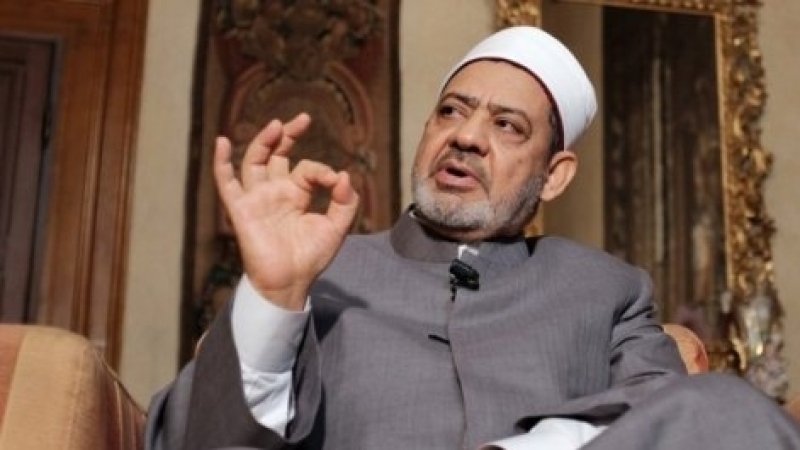 Pointing to the spread of extremism and mindboggling violence in the Muslim world, the head of al-Azhar said that the reason behind such behavior was the widespread perversion, misrepresentation, and depraved teachings that have scarred the true image of Sunni Islam. He emphasized that the sole salvation and solution for such an abomination rested with true interpretation of Islam and by abiding to the authentic Sunnah of the Prophet (pbuh) and his committed companions. All sincere scholars of Islam are unanimous on the point that Islam forbids shedding of the blood of innocents regardless of their faith, even if they have no faith at all; and that assaulting or terrorizing them is haram (forbidden). 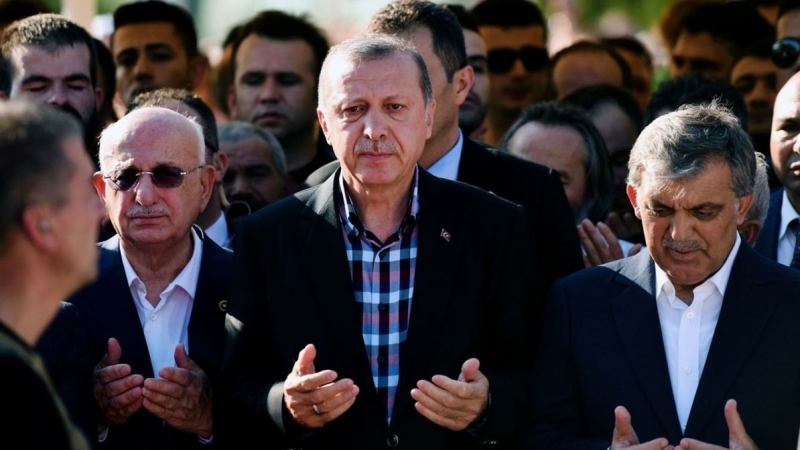 “In Islam, deviating from that is a major sin and amounts to spreading corruption on earth, which Islam orders to counter and protect society of its devastating effects,” he said. “In Islam, preaching about Allah must be with wisdom and rational conversation that does not insult others or their beliefs. The Qur’an states that ‘force cannot change conviction,’ (2:256)”, Shaykh el-Tayeb said. The conference was clearly motivated by the demonic actions of the takfiri terrorists on a rampage in Iraq, Syria, and elsewhere. 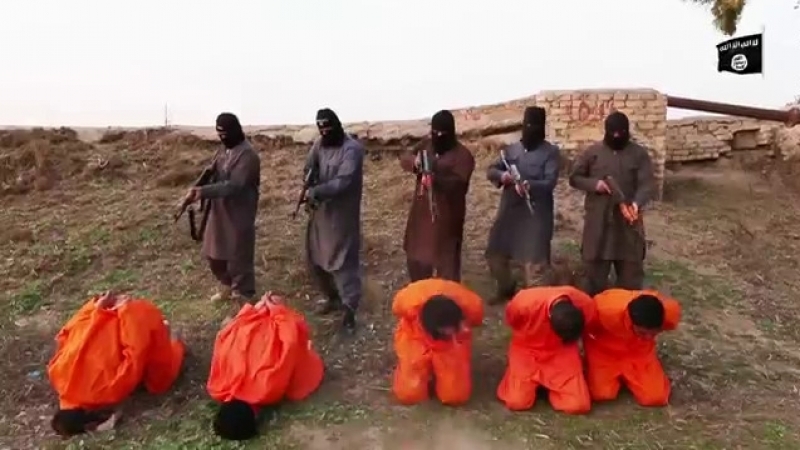 They have indulged in horrific crimes using the name of Islam. They call the territories under their control as the “Islamic State of Iraq and the Levant (ISIL/ISIS).” The Western media and rulers deliberately ignore the fact that these people and their actions have nothing to do with Islam. In fact, ample evidence exists to prove that the imperialists and Zionists are behind such groups for the specific purpose of demonizing Islam and Muslims. This serves their agenda. It is also quite revealing that whenever there is a terrorist act committed by any person with a Muslim name, there are immediate calls in the media about why Muslims do not condemn such acts. Muslims have gone hoarse condemning such acts but their voices fall on deaf Western ears. The Grozny conference provides further proof of this. Even Robert Fisk noted that Western media outlets generally ignored the conference. The only exceptions were Le Monde’s Benamin Barthe and CNN Arabic. The latter is hardly a channel that most people in the West tune into. Its coverage is meant for Arabic-speaking people in the Muslim East (aka Middle East). 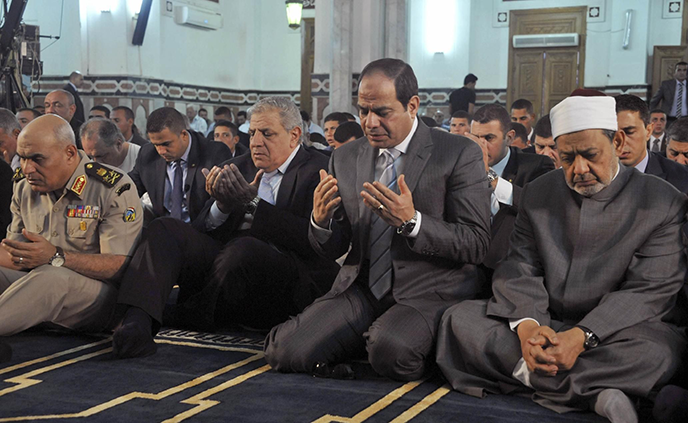 A photo released by Egypt’s official Middle East News Agency (MENA) shows Egyptian President el-Sisi (center), Shaykh al-Azhar Ahmed al-Tayeb (right), and former Prime Minister Ibrahim Mehleb (left). The issue here is why would el-Sisi send a high-level Islamic delegation to Grozny, especially in the way it came out against Wahhabism, and risk upsetting those who bankrolled his coup and “presidency,” while he systematically dismembered their common enemy, the Ikhwan. Egypt is generally a good bellwether for the direction American policy is going to be moving in. It appears the US is going to be turning away from Saudi Arabia and Salafism, favoring Sufism instead, after confiscating the country’s assets buried in American financial institutions and government bonds. For America, Saudi Arabia seems to have served its purpose, and now the US wants to move the seat of “Sunnism” back to Cairo, where it was prior to the emergence of contemporary political Wahhabism in the Arabian Peninsula. El-Sisi would not have made such a move had he not the confidence from his American patrons that they would make up any shortfall in the funds he might have received from Arabia. In a sense, Egypt’s presence at the Grozny conference is sending the American signal to the Saudi royals that their time is up. The final communiqué at the end of the conference boldly stated that Sufis, Ash‘aris, and Maturidis are true Sunnis but Wahhabis and Salafis are not! This was a direct challenge to the Saudis who have frequently denounced the Sufis, Ash‘aris, and Maturidis as “misguided” or even not Muslims at all. Naturally, the declaration did not sit well with the Saudis who hit back with threats and dire warnings. Ra‘i al-Yawm, the online Arabic-language website, said in a report on August 29 that remarks by speakers, especially those by Shaykh el-Tayeb, and the conference’s final communiqué caused a storm of anger among Saudi court preachers. They alleged that Shaykh el-Tayeb’s discourse at the conference was linked to a policy to weaken Wahhabism and establish a new, dominant Sunni leadership under the auspices of al-Azhar in Egypt. Some Saudi court preachers threatened to cut off funding to regimes whose scholars participated in the conference. Their harshest criticism was reserved for Shaykh el-Tayeb and Egypt. General Abdel Fattah el-Sisi’s coup of July 2013 against the elected government of President Muhamed Mursi was financed by the Saudi regime. Riyadh then arranged for several billion dollars more in aid to shore up the Egyptian economy. This was an admission of enormous proportions. The Saudis try to buy the loyalty of people with dollars and riyals. They are also used to coercing some into silence. True, al-Azhar University has also received money from Saudi Arabia but there is intense competition within the institution about what thought should predominate. Shaykh el-Tayeb is inclined toward Sufism and it has been apparent for many years at al-Azhar that there is a systematic attempt to increase Wahhabi influence there and bring it under Saudi control. The Grozny conference and declaration may have put the brakes on this trend. It will be interesting to see whether al-Azhar’s scholars will be able to resist the Saudis’ coercive tactics and chart a more authentic path in their future discourse or succumb to the lure of Saudi riyals.